Purchase GradeAssist for Adobe® Acrobat® Reader® DC. (NOTE: If you have purchased a subscription to GradeAssist for Microsoft Word, you do not need to purchase again. Just let us know that you want the Adobe® Acrobat® Reader® DC version, and we will email you a link to download the program free of charge.) Within 3 business days, you will receive an email from Educo360, Inc. that contains a zip file. Right click on the zip file and save to your computer. Right click on the downloaded zip file, and click Open to unzip the file. The unzipped file will appear as a folder. Open the folder. Double-click on the GradeAssist Installer to install the software. When the "program installed" notification appears, GradeAssist is ready to use on Adobe® Acrobat® Reader® DC. Find the comment sets under "Tools" then "Add-on Tools" in Reader®. See HOW TO USE IN Adobe® for more information link. Installed pic, Extended pic. If a security notice appears when you double-click on the GradeAssist Installer, click OK and follow instructions below. 2. Click on Security & Privacy. 3. Change your settings to allow for GradeAssist to open. 4. 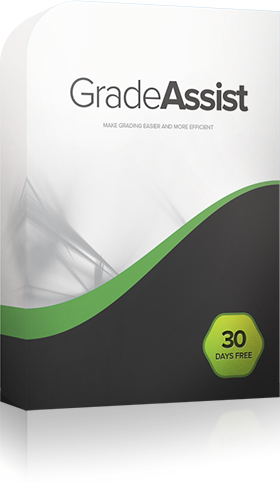 Once GradeAssist is installed, it is ready to use in Adobe® Acrobat® Reader® DC. Once the file is opened, open the FilesToInstall folder. Select all the items and Copy. Simultaneously press the Command key and click the Adobe® Acrobat® Reader® DC icon to view in Finder. Then right-click on the Adobe® icon and select Show Package Contents. Now paste the copied items into this location. Open Adobe® Acrobat® Reader® DC to use GradeAssist. The comments are found under "Tools" and "Add-on Tools."